The children hardest to find families for, but in many ways the most deserving of one, are the children with a specific special need. There is a donation required to host, which goes directly to the children’s travel and insurance for the program, and many families who might be willing to host a child with special needs choose not to because of the cost. Children who have sponsorship will have a little red heart and sponsoring organization name listed at the bottom of their photos. We’ll also feature child sponsors on our blog and sponsorship page. Sponsorship helps so many families participate in hosting who otherwise might not be able to! Give the gift of family, and donate today! You can also make general donations to the hosting program. Donations go toward covering a variety of costs, including children’s food and travel expenses, orphan chaperone costs, and interview trip training for orphanage teams and program staff. Checks can be mailed directly to our office. Any amount helps us continue working for children around the globe. 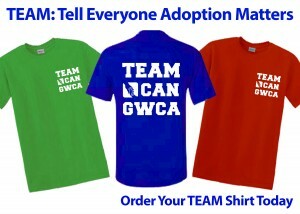 All proceeds acquired from these t-shirts will go toward hosting grants. These shirts will be worn by all of our hosting kids as they arrive to meet their host families for the 2015 Winter Program. 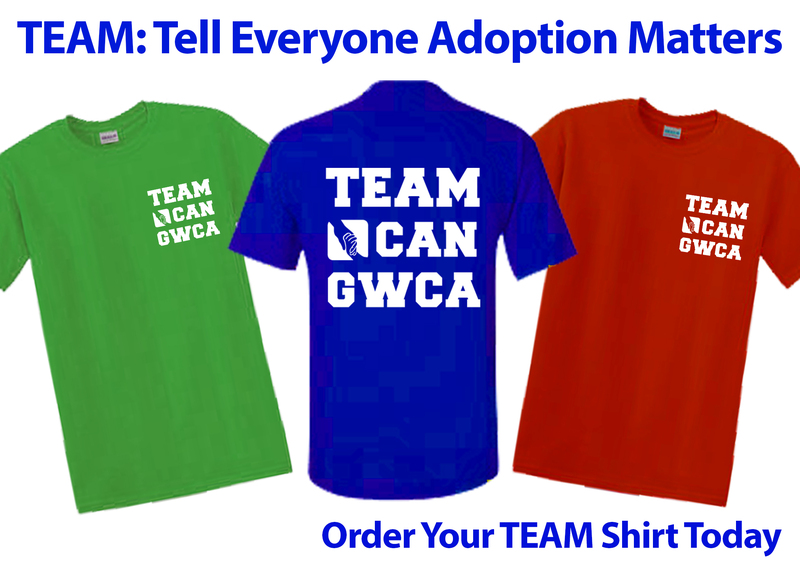 Team CAN T-shirts will be available for order starting in February 2016 for the Summer 2016 program. They are $20, which includes shipping. Help support Orphan Hosting Today! Shop through Amazon Smile, where you will have access to all the same products at the same price you normally would on Amazon to fill your loved ones’ holiday wishlist! The only difference between Amazon Smile and Amazon.com is that .5% of your purchase is donated by Amazon to Great Wall China Adoption and Children of All Nations orphan care programs. What a great way to spread holiday cheer! 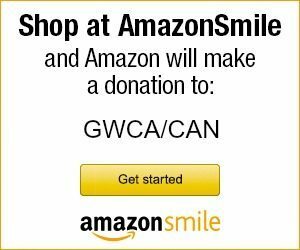 Just log in to Amazon by clicking on the link below, and be sure to select Great Wall China Adoption as your charity if it isn’t already (Children of All Nations is not specifically listed, as it is part of Great Wall). Then, shop like normal and know that with every purchase you make, you are making a positive impact on the life of an orphan. We appreciate your support so much!